Space Saving Table fits against the wall! 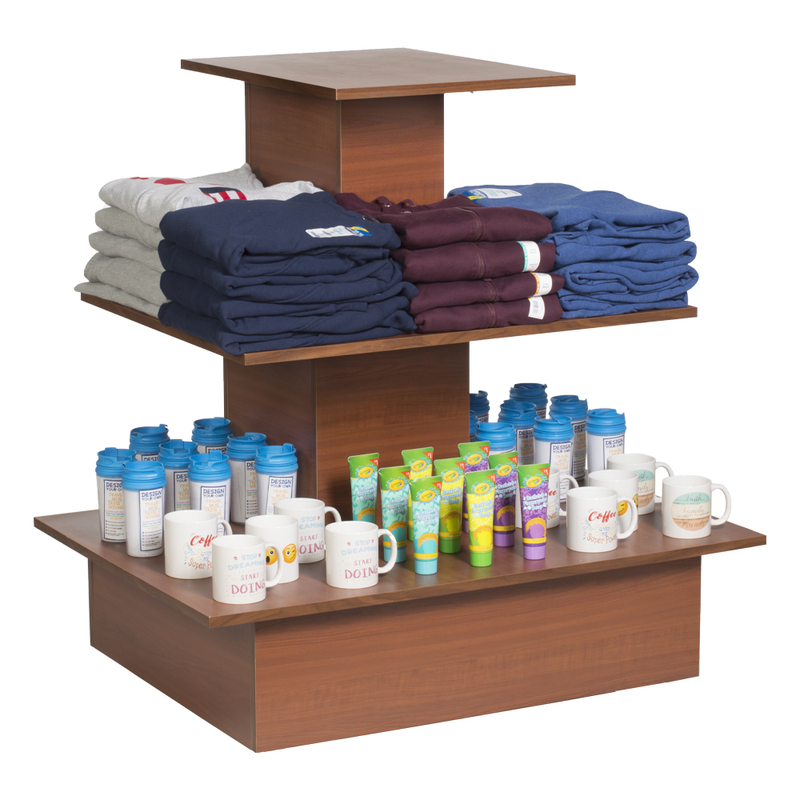 Exclusively designed Space Saving Wall Table allows for maximum merchandising with its tiered levels and small footprint. Three tiers and each shelf is 3/4 in. thick. 15 in. between each shelf. Add a casters to easily move your table around your store. 2 in. optional casters easily mount onto the bottom of our Tiered Tables using included screws and your screwdriver. Some assembly required. Top Tier: 24 in. x 18 in. Middle Tier: 27 in. x 34 in. Bottom Tier: 30 in. x 42 in.